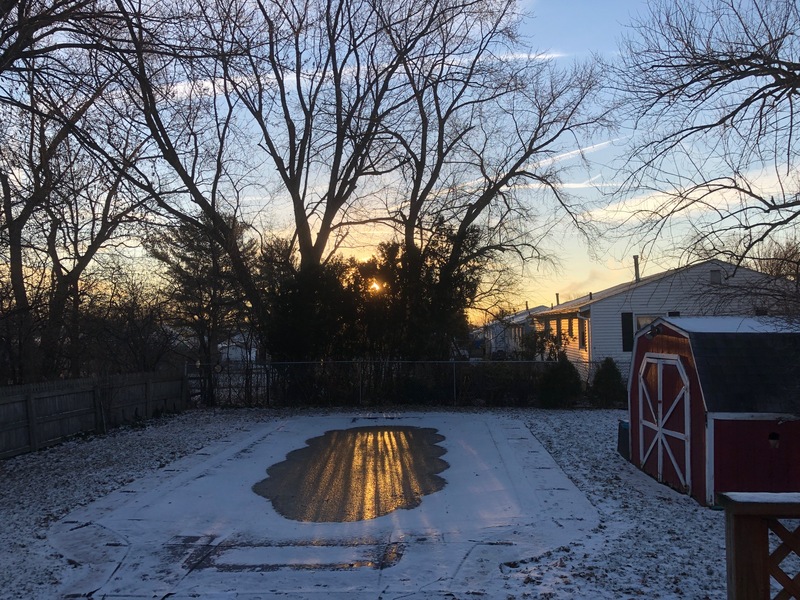 As I readied for my departure for work Tuesday – and the coming for our Winter Solstice of 2018 – I noticed a great reflection out the back door of A Bitty Better in the Liverpool neighborhood of Galeville. My coat on, work case on my shoulder, byes said to Ellie B aka Dogamous Pyle, a paused a moment to pull my iPhone 8 from my jeans pocket. Lines for the coming of winter. The time stamp says 8:02 a.m. as the sun says hello. I dig the rays dancing on our pool cover. It made the shorter day OK, PK. Great way to greet the day, Nance. That’s a pretty cool photo, Mark. Your phone takes really nice pictures. Yes, I am quite happy with my iPhone photos for sure, CM. Thank you! Hello to a good friend indeed, MBC!